Get the most out of the festival by planning your success now. Add these dates to your calendar now. 12th June: Actors Table Read submissions open, more here. 12th July: Legal Clinic Submissions Open, more here. 14th July: Euroscript ‘Script Surgery 1 hour consult’ applications open, more here. 27th July: Actors Table Read submissions Close, more here. 30th July: Advanced Mentoring Script Labs Open, more here. 13th Aug: Meet The Experts Submissions Open, more here. 8th Aug: Live Script Edit Open, more here. 14th Aug: Advanced Mentoring Script Labs Close, more here. 20th Aug: Euroscript ‘Script Surgery 1 hour consult’ applications closes, more here. 23rd Aug: Legal Clinic Submissions close, more here. 23rd Aug: Euroscript ‘Script Read’ successful applicants announced, more here. 24th Aug: Live Script Edit Close, more here. 24th Aug: Actors Table Read Successful Applicants Announced, more here. 28th Aug: Meet The Experts Submissions Close, more here. 29th Aug: Legal Clinic Successful Applicants Announced, more here. 31st Aug at midday: Meet The Experts Slots For Successful Applicants goes live. 31st Aug: Advanced Mentoring Script Labs Successful Applicants Announced, more here. 1st Sept: PitchFest Booking System Goes Live, more here. 3rd Sept: Speed networking booking opens (and closes when all slots full), more here. 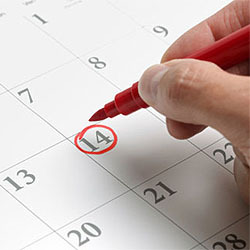 14th to the 16th April 2020: Festival Week Seminars, more here. 16th April 2020 (evening) (Thursday evening): Festival Opening Party, more here. 17th to 19th of April: The London Screenwriters’ Festival runs, more here.